Dr Sriprapha Petcharamesree completed a B.A. in Political Science from Thammasat University, Thailand. She received her PhD from the University of Paris-X Nanterre in France. 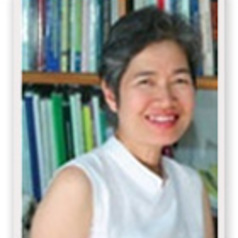 She is currently the Director of the International PhD Program in Human Rights and Peace Studies at the Institute of Human Rights and Peace Studies, Mahidol University, Thailand. She was appointed by the Thai Government the Thai representative to the ASEAN Intergovernmental Commission on Human Rights where she was serving between October 2009 to December 2012. Her research and expertise focuses on human rights, ASEAN/SEAsian studies, migration, including statelessness and citizenship, business and human rights, and international relations. She has spoken and written extensively about all of these issues.